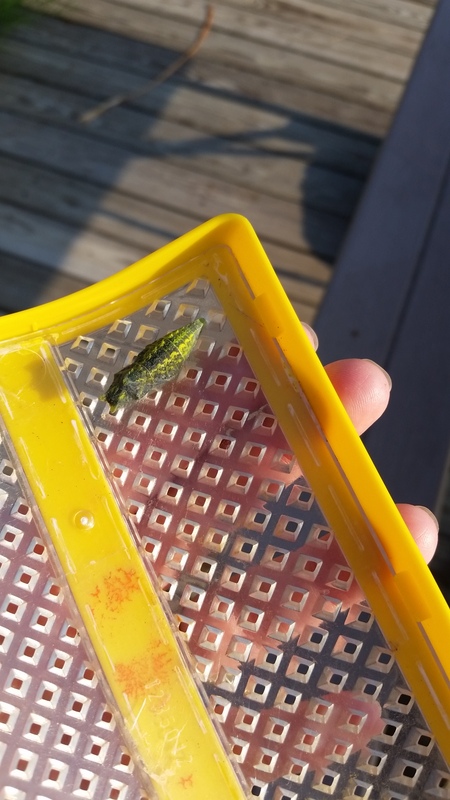 A few weeks ago we found what we thought was a monarch butterfly caterpillar. Joe put it in his bug house and a few days later it made a chrysalis. We watched and watched and soon it started to turn a dark greenish gray. 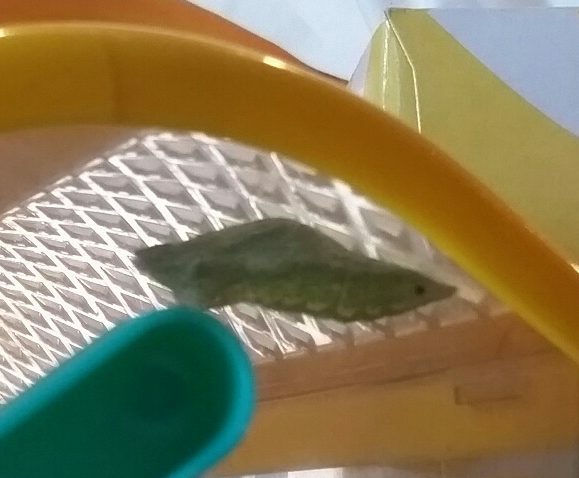 We came home from a trip to the zoo to find it had hatched! But it wasn’t a monarch butterfly. 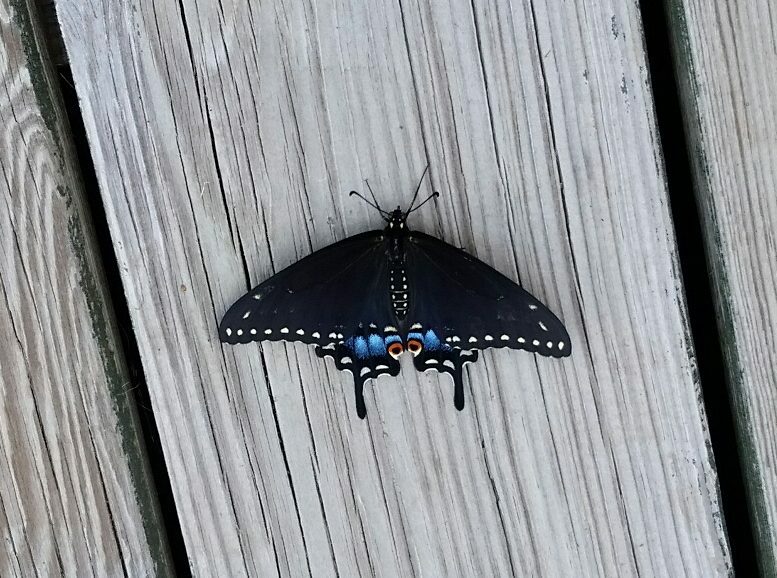 It was a Black Swallowtail. We opened the bug house and let the sunshine dry its wings. 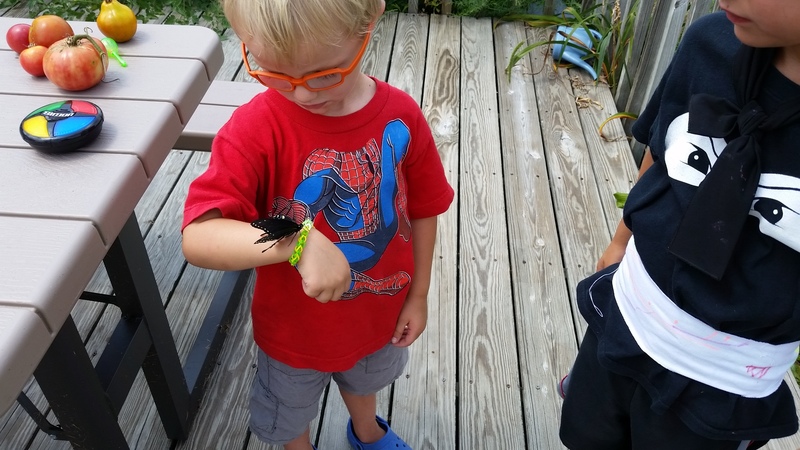 The boys watched it for a long time while we talked about the lifecycle of a butterfly. And then, just like that, Beautiful flew away. She fluttered over the garden and landed in the herb spiral before taking off for the pasture. 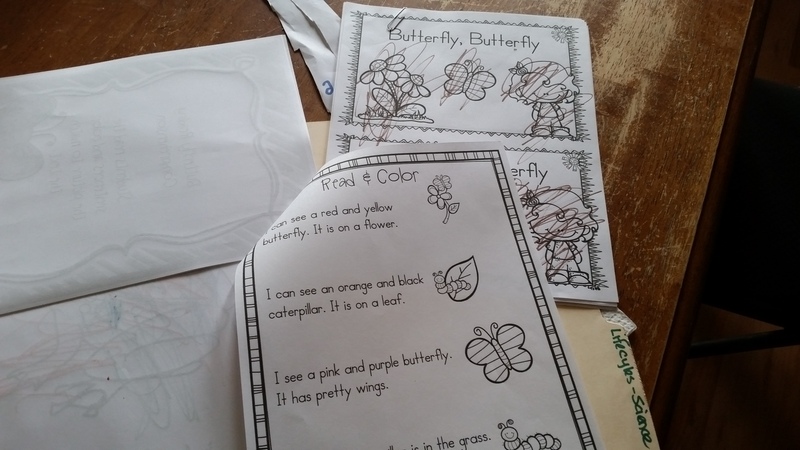 We came inside to look at more pictures of Black Swallowtails and to read and color a booklet on the lifecycle of a butterfly. Since then, Joe has been searching for other caterpillars to see what they turn into. 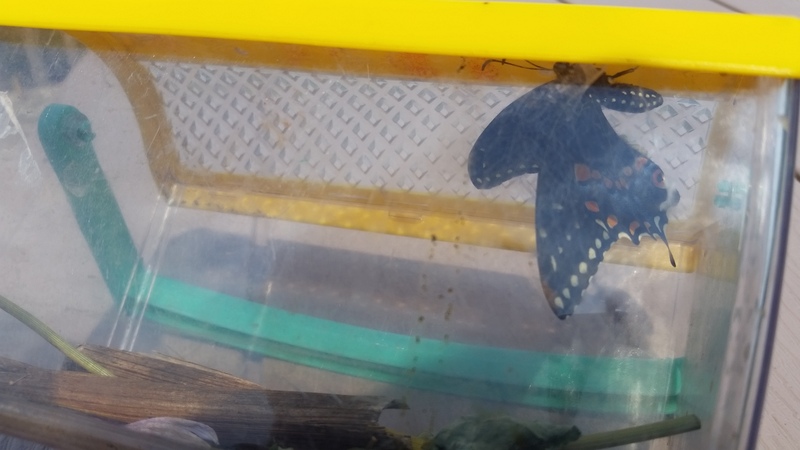 We’ve successfully captured a moth caterpillar and watched the lifecycle: caterpillar, cocoon, moth. 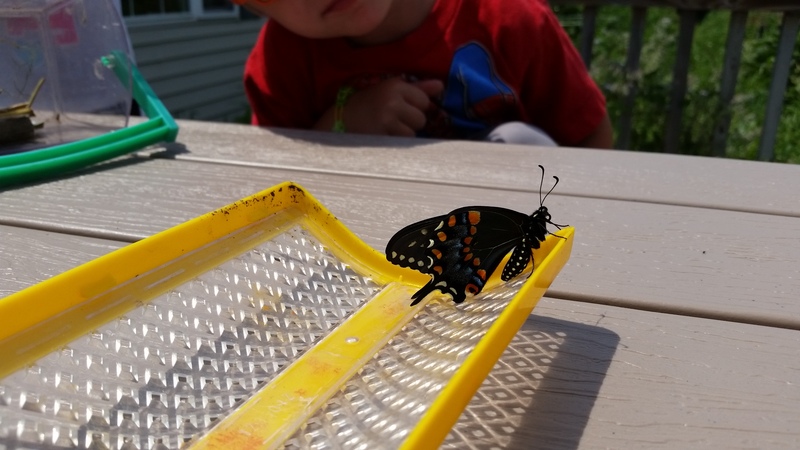 We’ve talked about how a caterpillar comes from an egg the butterfly lays and that butterflies hatch from a chrysalis, while a moth hatches from a cocoon. We’ve counted the steps it takes and how long each phase is and Joe has read an easy reader about the lifecycle aloud. He’s moved on to other interests now, but it was so cool to be able to combine a math, science and reading lesson and relate them all to something that interested him and Jake. This entry was posted in Education, For the Kids, Life, Permaculture. Bookmark the permalink. Thank you! I am just so excited when they are interested. I totally understand. My daughter is 13 and nothing impresses her about school except maybe her new ag class and wrestling.